Amarendra Baahubali doesn't have the best moustache. The right end is curled up while the left is lost in stubble, and it could use some proper twirling. Under these casually unkempt whiskers we see a substantially low-slung cummerbund, tied - loosely - around a man with a mostly unhurried gait. This is a ruler born into dominance, one who wears power lightly and effortlessly, and doesn't have anything to prove. This could be said of the director S S Rajamouli as well, who created cinematic history with the first Baahubali a couple of years ago. Titled The Beginning, it was a sword-and-sandals epic mounted on a scale Indian cinema had never seen. It gave us not mere heroes and villains but its own mythology, telling us the story of a lost princeling returning to claim his rightful throne. This film - The Conclusion - tells us why he was lost in the first place, while elaborating on a dramatic revelation the first film ended with. This is the rare sequel that is better than the first. Rajamouli's original Baahubali was engaging and effective but significantly overstuffed, with waterfalls and a weird romantic track and far too many songs for the genre, while this film is a lot more assured about both narrative and tone. The story proceeds briskly and intriguingly, and Rajamouli has a gift for swerving away from what appears obvious. As does his leading man, Prabhas. 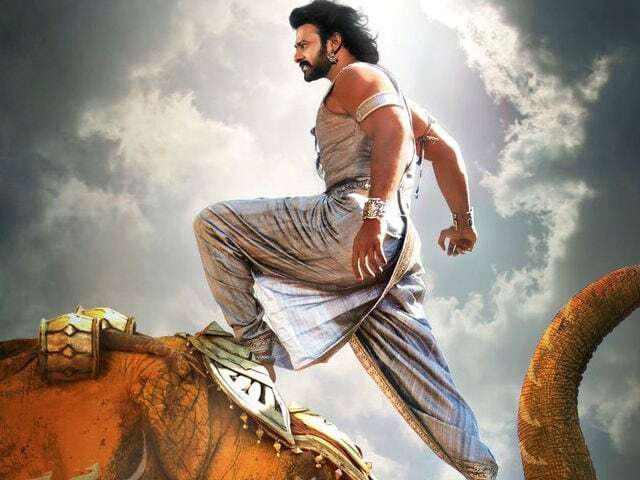 This is a giant film, an unsubtle blockbuster with a Haatim Tai aesthetic and the soul of a shrieky libretto, but Prabhas plays Baahubali Senior with a gentle ease. This leading man doesn't make faces or allow his nostrils to flaunt his anger, and his dry intensity serves the film superbly. He is a hero to celebrate, and while his moustache might droop - for he is too cool to be vain - his shoulders never do. In this tale of kartavya and parkourtavya, he finds little flourishes, like the way he watches blind justice being carried out while he looks mildly judgmental about the whole thing, or the way he perches atop a throne in the opening scenes, dancing onto it and stretching as he lands, as if posing for a calendar. What a graceful man. He doesn't get much time for throne-posing, however. Conspiracies are afoot, and - like at a ceremony preceded by Warren Beatty and Faye Dunaway - Baahubali finds the announcement for his coronation altered, with crowds dumbstruck as the throne goes to his stepbrother Bhallala Deva, played by the majestic (and jacked) Rana Daggubati. Baahubali and Bhallala might be rivals for the kingdom, but the film's decision making lies with the two dominant women in Baahubali's world, the queen mother Sivagami (Ramya Krishnan) and his princess bride, Devasena (Anushka Shetty). The film starts off lightly, with Baahubali and his man-at-arms Katappa - played by Sathyaraj, who bestows the likeable character with overwhelming warmth - in comic mode as they approach the warrior princess Devasena pretending to be simpletons. Things stay calm till there is an attack, and - in my favourite action moment - the cool and collected hero leaps into the air and shoots off three arrows in one go, a money-shot if ever there was one. Things get louder as they go on - with an army of flaming cows, believe you me - but Rajamouli never loosens his grip on the narrative. This film stays tight despite a 171 minute running time, with well-written characters and motivations. The problem, however, is that with nearly four-fifths of the new film playing out as a flashback, it leaves very little time to satisfactorily tie things up once we return to the present. The climax is appropriately massive and barrels ahead ballistically, set around a giant statue Mayawati would endorse, but it needed elbow room. The people's revolution is reduced to a few yells; Avanthika, the warrior princess of the first film, is left entirely without lines this time around. Bhallal Deva simply doesn't have enough time to appear truly threatening, despite his vicious performance and sabre-toothed breastplate. Part of this complaint may, perhaps, be merely me clamouring for more of Rajamouli's storytelling, and not wanting the saga to end just yet. He is an accomplished filmmaker with a strong understanding of epic grammar, and - for all his overt iconography and big setpieces - his smaller touches are what stay with me. There is much to appreciate in the intricacy of the insignia painted on the characters' foreheads, the detailed scale models Baahubali makes of his projects before constructing them, and lines like one about bestowing a bride with so many jewels that she'd need a year before she could repeat them.